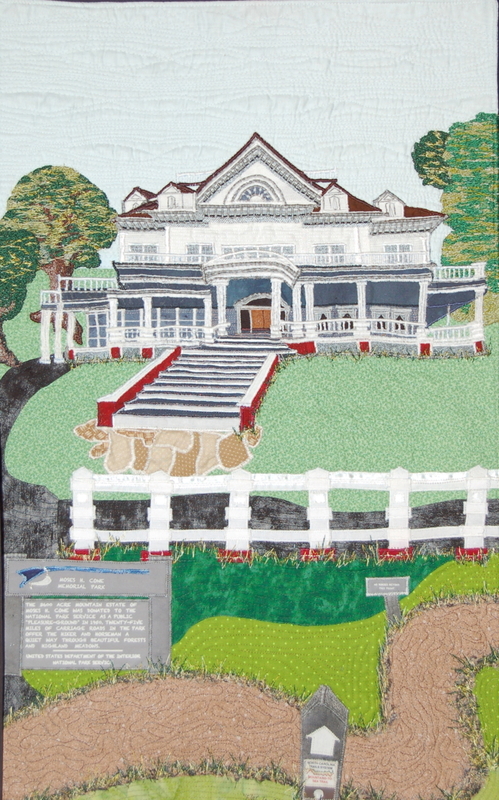 Click on any picture to enter a slideshow with larger views of the photographs. 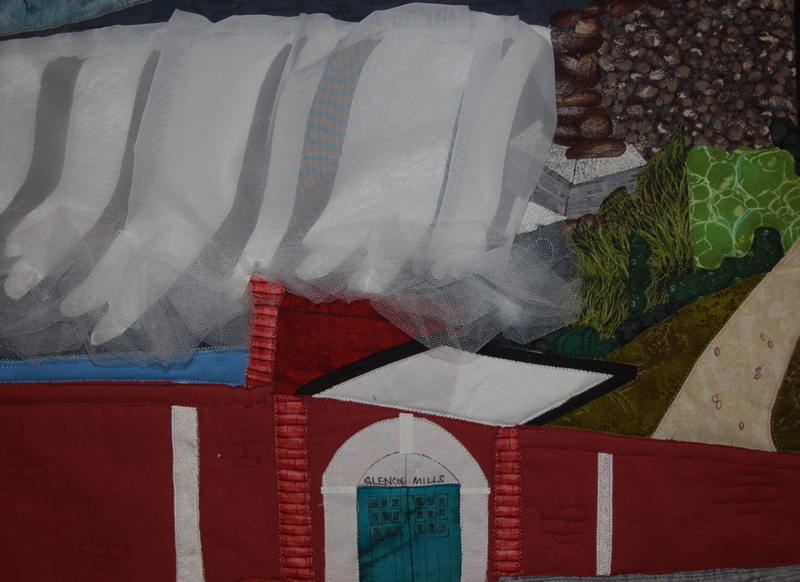 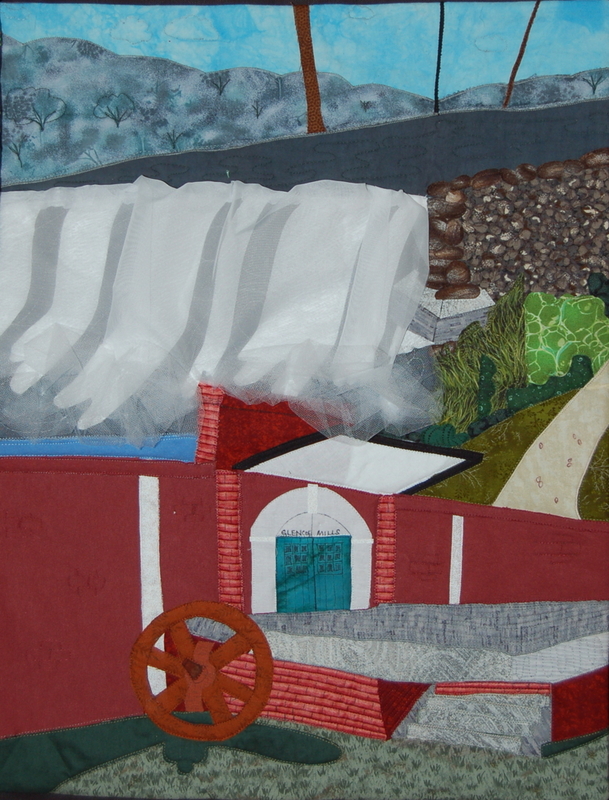 The First Place ribbon was awarded to our quilt series within the “group” category. 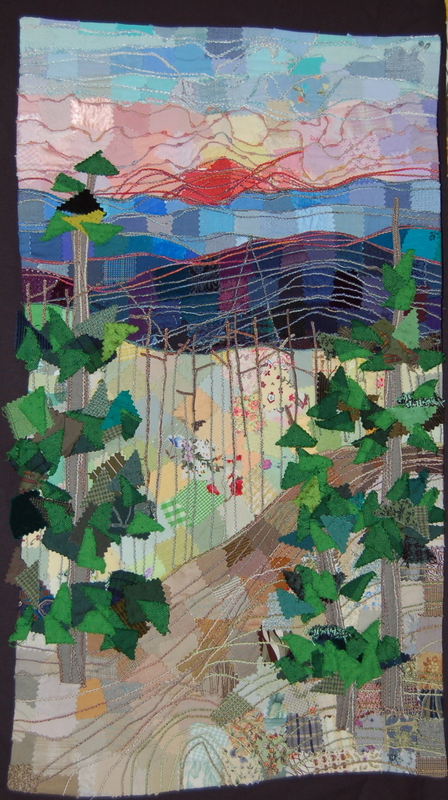 The Best of Show ribbon is awarded to the Best Over All Quilt as decided by the judge for the quilt show. 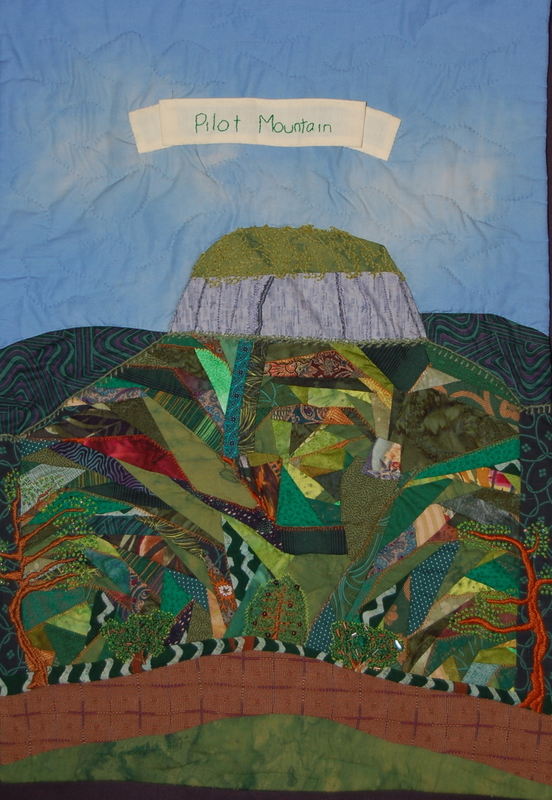 We are honored to have received this award. 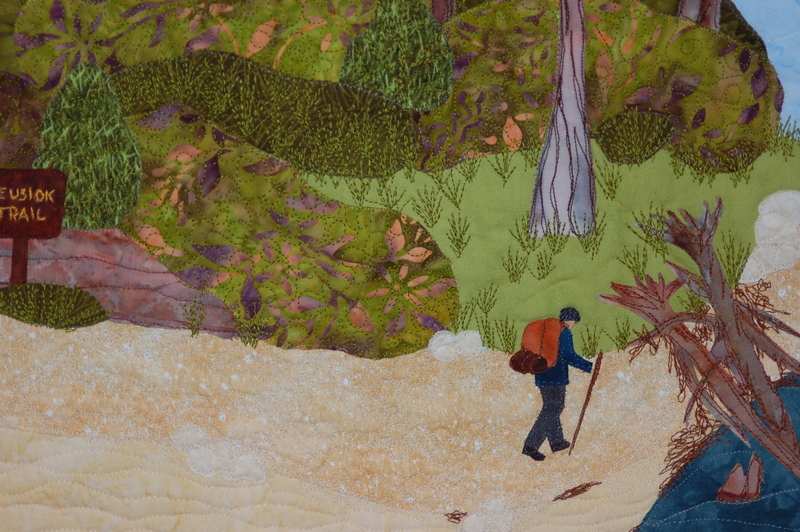 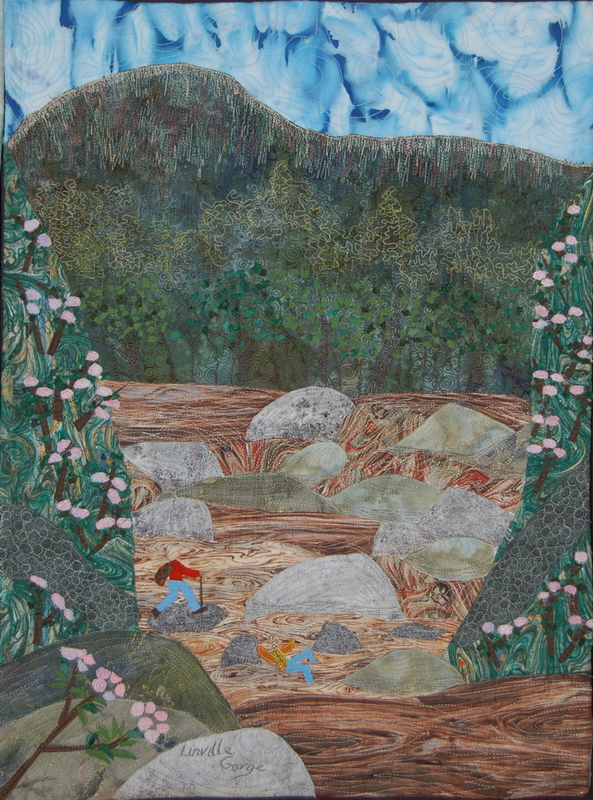 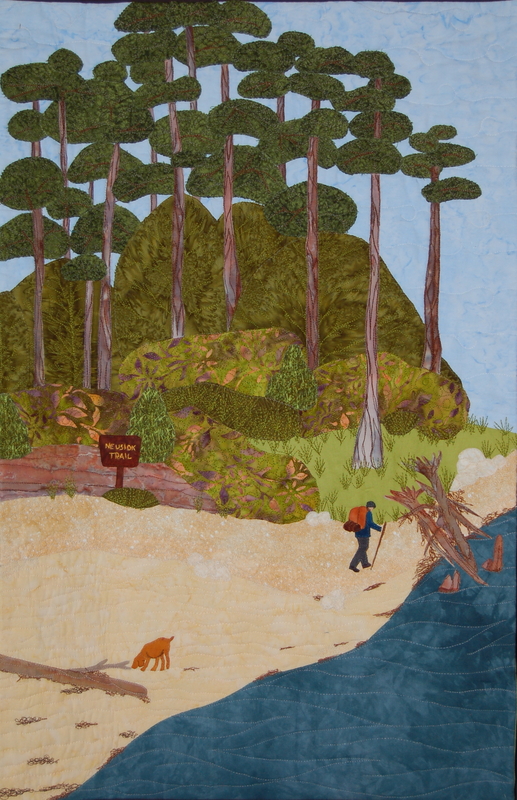 Mountain to Sea Trail Quilt Series: The fourteen panels won “Best of Show” at the Durham Orange Quilt Show in Durham, NC at the American Tobacco Campus from October 19-21, 2012. 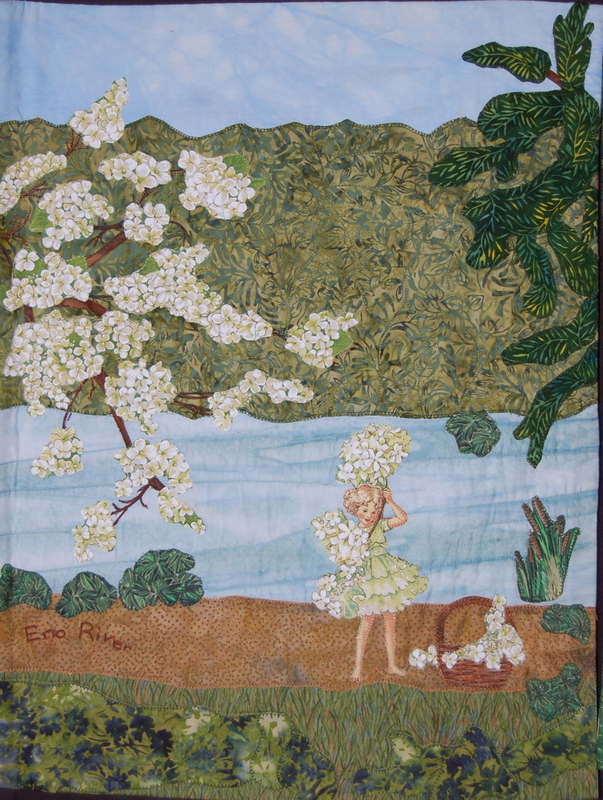 This photograph shows the first seven panels. 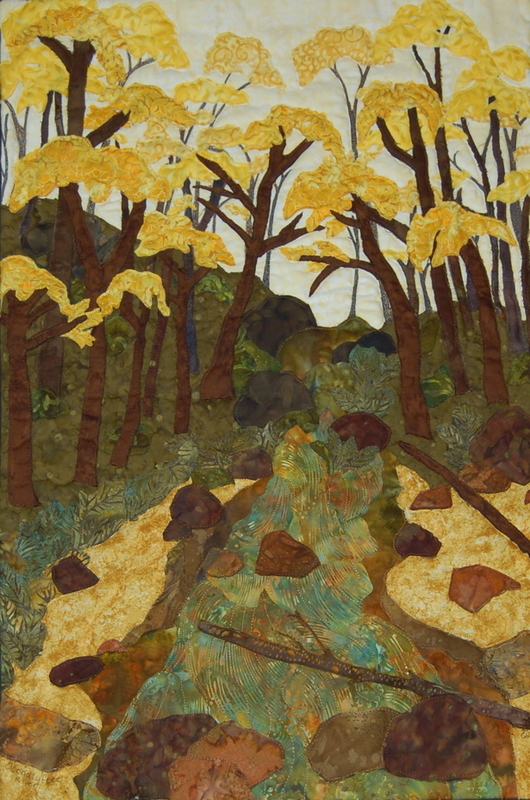 Mountain to Sea Trail Quilt Series: The fourteen panels won “Best of Show” at the Durham Orange Quilt Show in Durham, NC at the American Tobacco Campus from October 19-21, 2012. 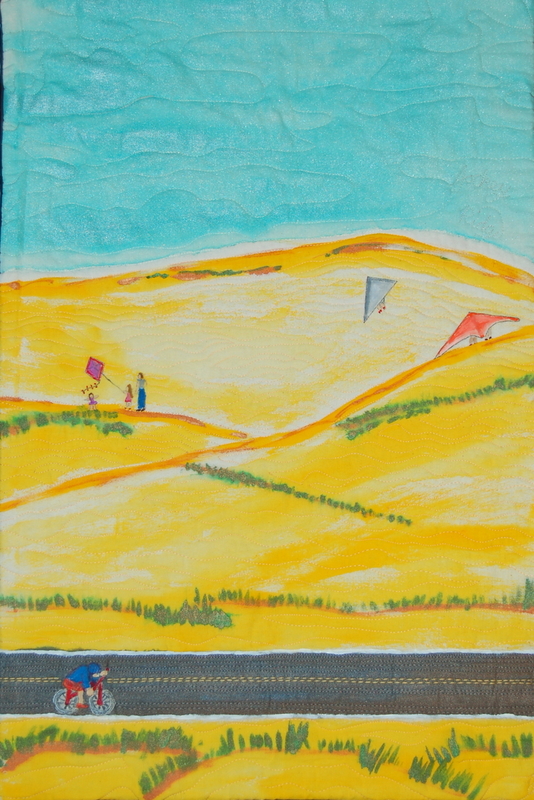 This photograph depicts the second seven in the series. 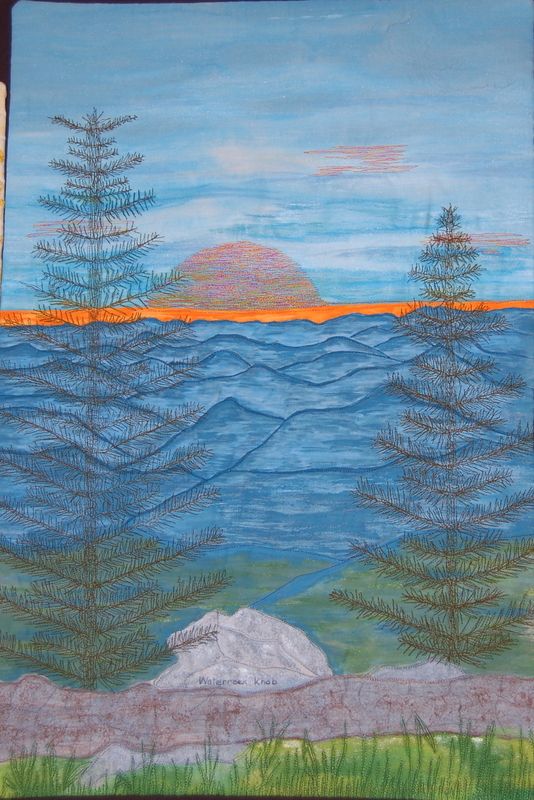 by Susan Ward: Clingman’s Dome – highest peak in the Great Smoky Mountain National Park. 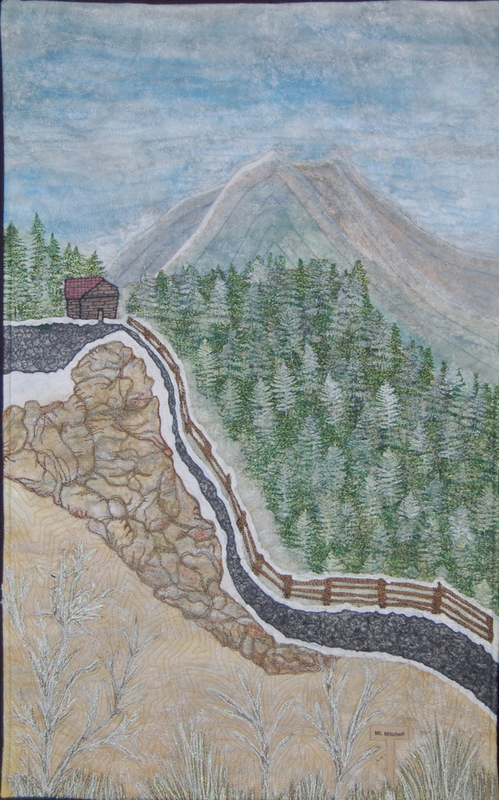 by Jean Fetterman: Mount Mitchell State Park – Mount Mitchell is the highest mountain in the Eastern USA. 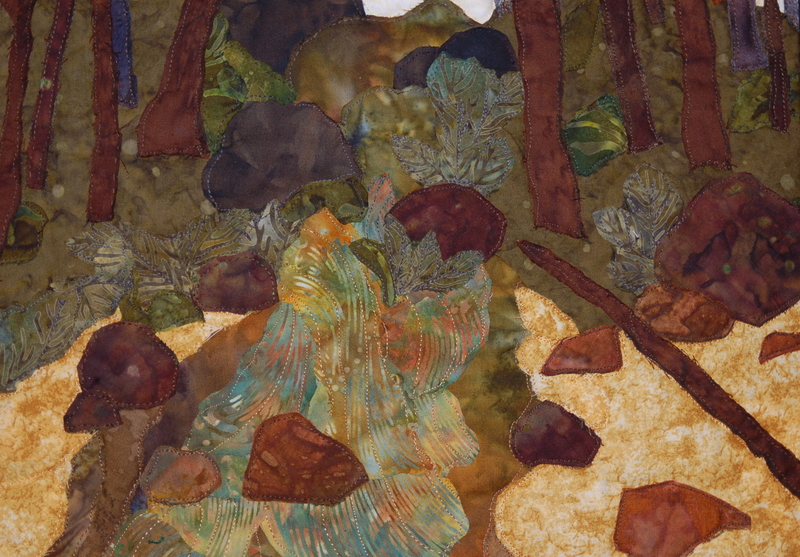 It had its first showing at the NC Museum of Science Gallery in Raleigh, NC. 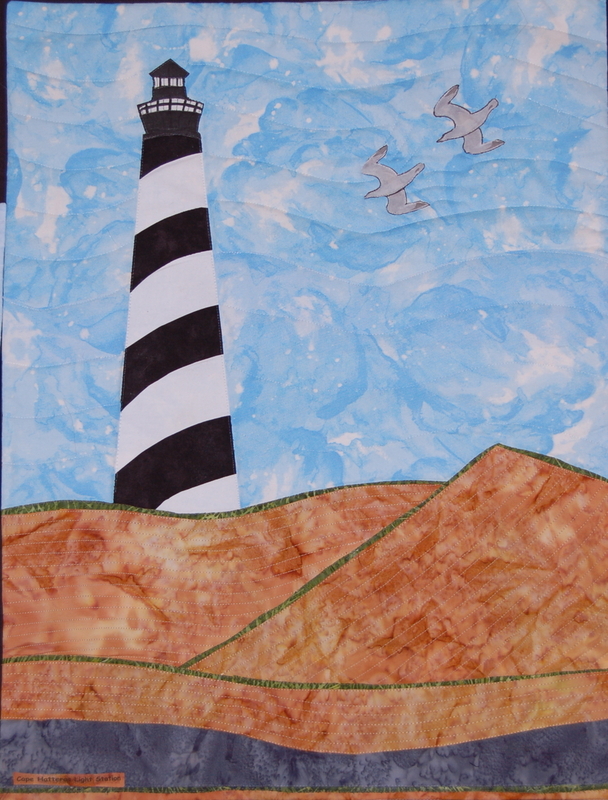 The series also won First Place in its class at NC Symposium 2013. 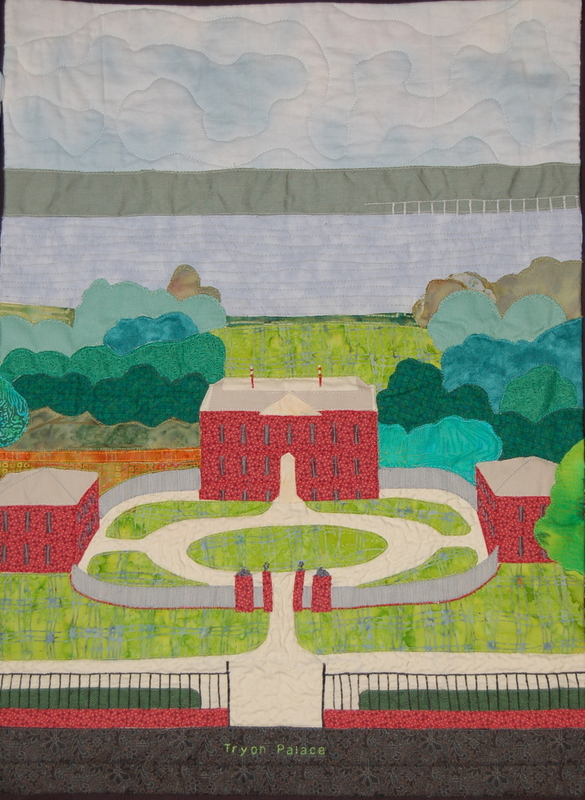 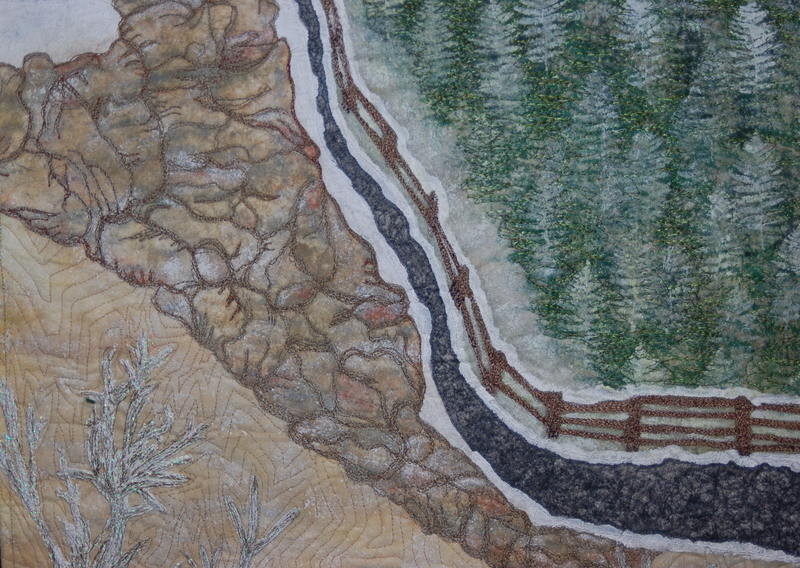 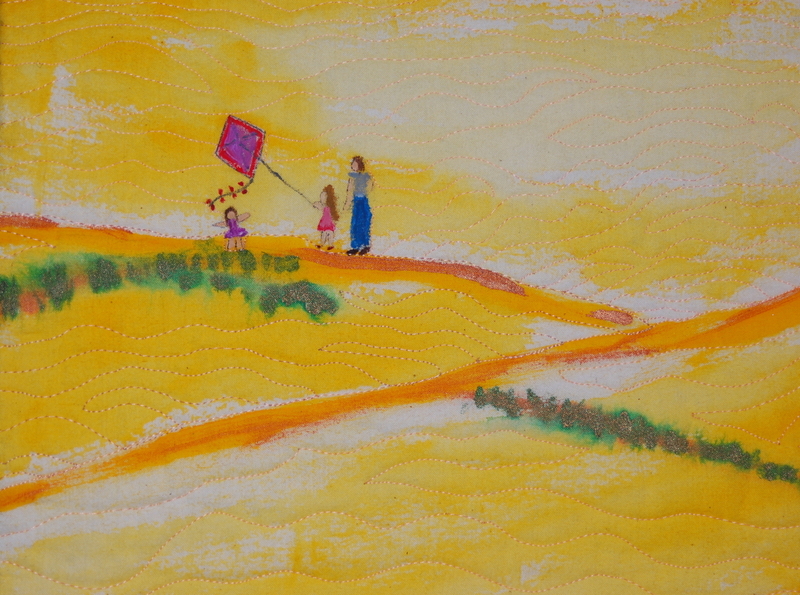 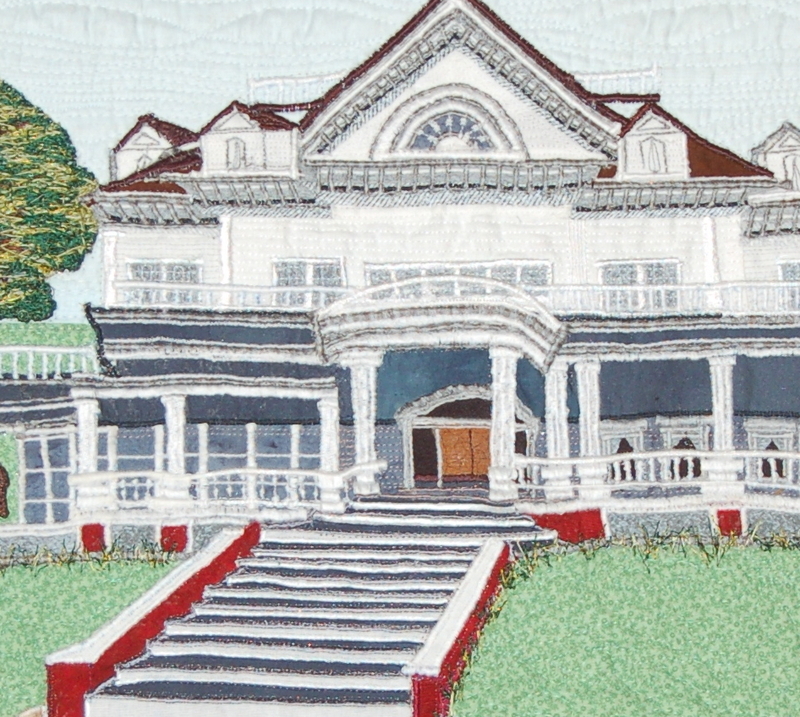 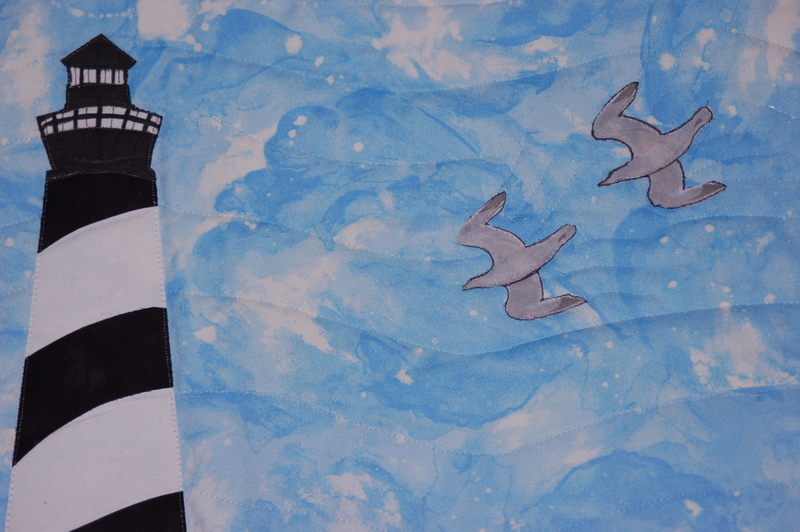 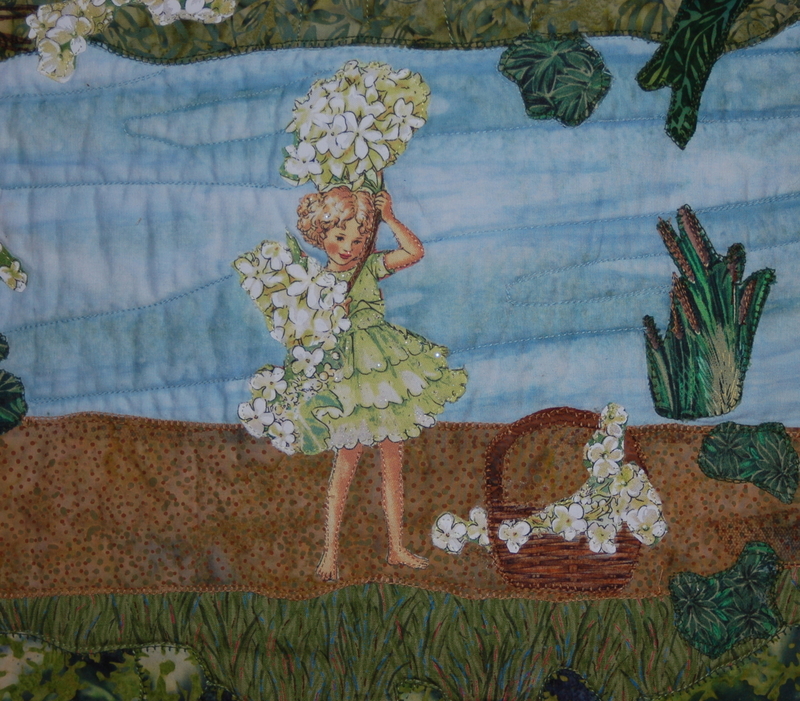 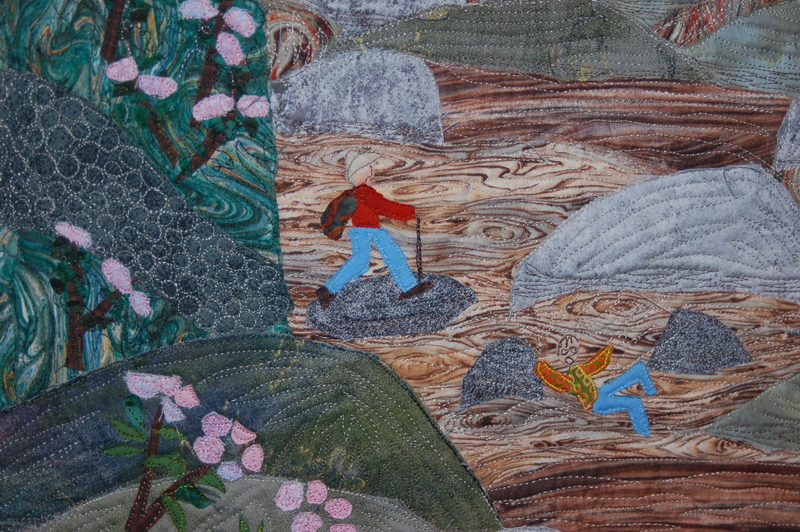 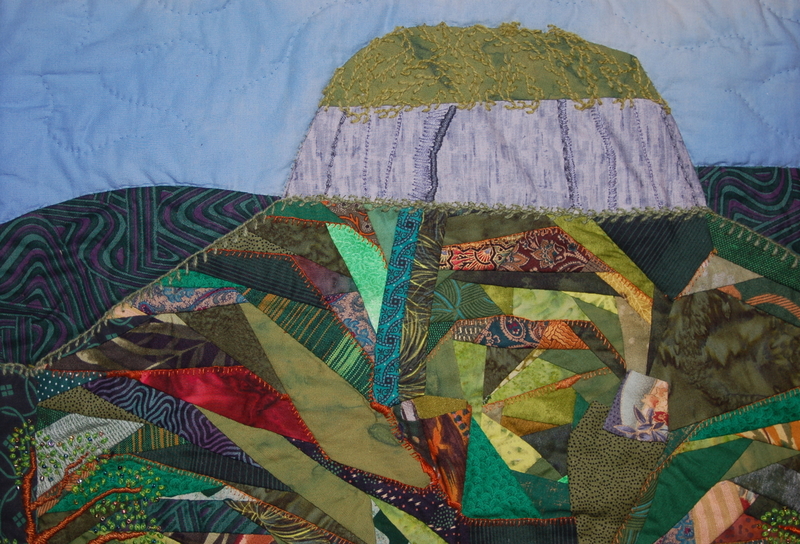 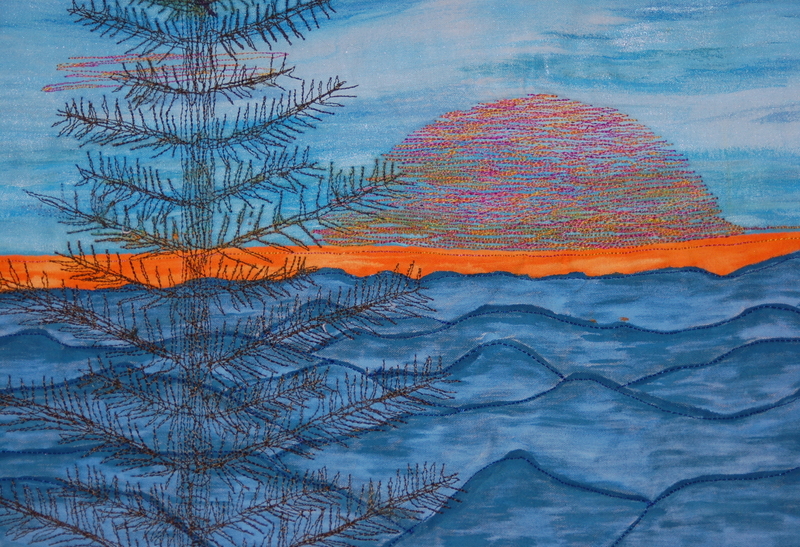 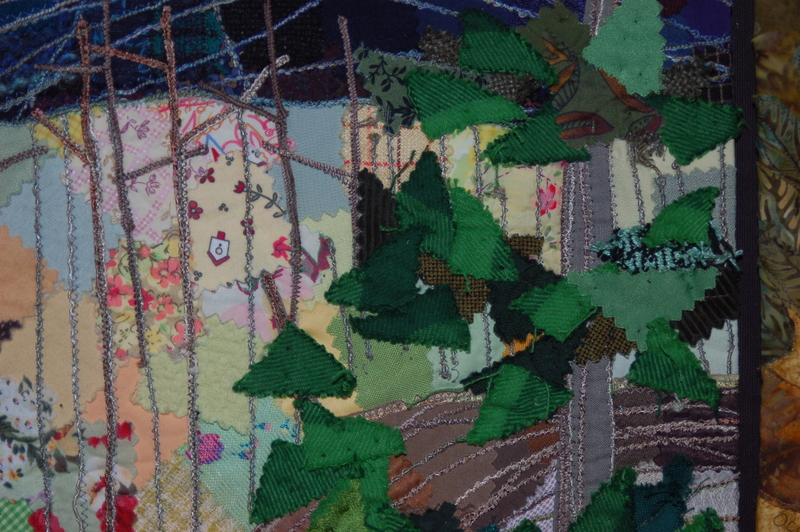 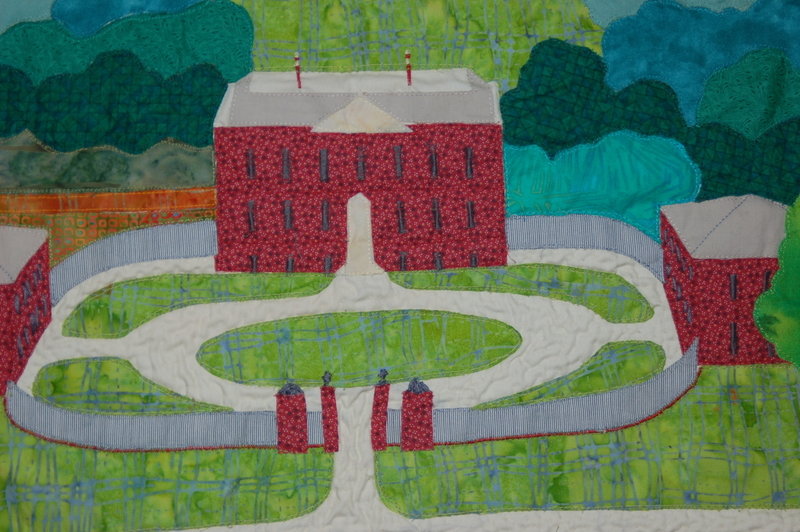 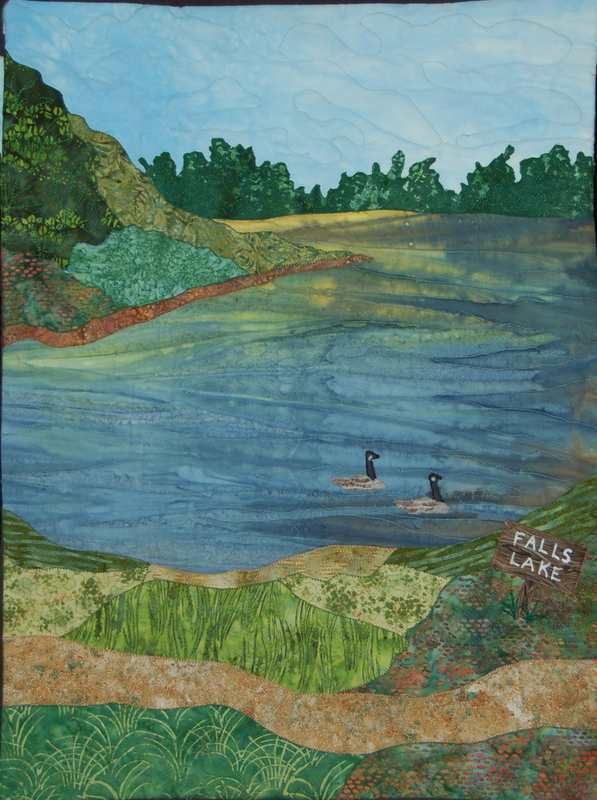 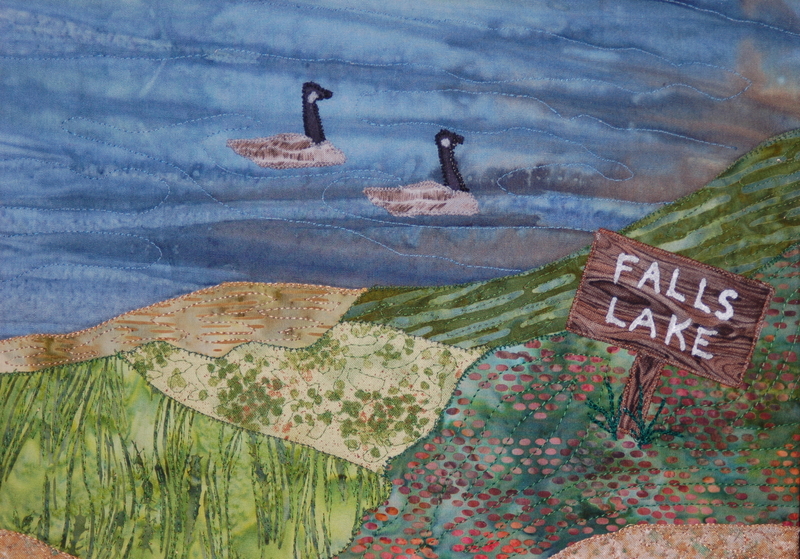 It was shown as an exhibit at Mid-Atlantic Quilt Festival 2014.